First stop is the medieval town of Aix-en-Provence, in France’s South, slightly North of Marseille. It’s only April so the town is still a little sleeply, coming out of its winter hiatus, prepping for the tsunami of tourists that will flood Provence during the summer months. The main drag, Cours Mirabeau, is 100% geared for these visitors, with Paris-style bistrots and Irish pubs overlooking the fountains and designer stores. They’re great for aperitif and people watching and our favourite was Bar Le Grillon. But, it’s the back streets that were far more interesting food wise and also where the Saturday markets are held. 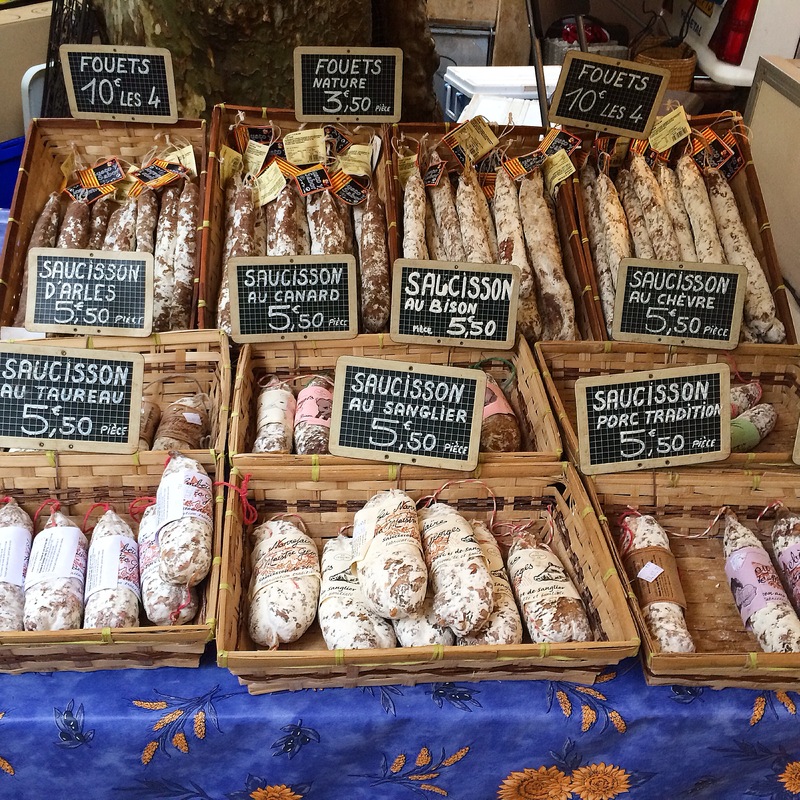 This is what I missed most about France and Aix did not disappoint! It was a slightly drizzly morning when the Madame and I stepped onto the sandstone pavement, bright eyed at 7am thanks to some residual jetlag. We followed the locals as they weaved their way through narrow alleys and lanes, until we were warmly greeted by stalls upon stalls of the freshest and brightest looking vegetables, meats, fruits and flowers, protected from the weather by a canopy of elm trees. It was also on the corner of this market square where I discovered a little coffee shop that made a mean short black but also sold coffee beans, which they ground fresh to order, from around the world, including Australia! The Madame’s latté left her wanting as it looked more like a ‘froth-a-cino’ on steroids but neither of us could fault the quality of the shot. I noticed a huge Italian influence (or is that tourist influence, not sure which?!) food-wise with every second restaurant seemingly a pizzeria. We found a great one though, simply called “Le Pizza”, where the ingredients were super fresh, top quality and well priced. 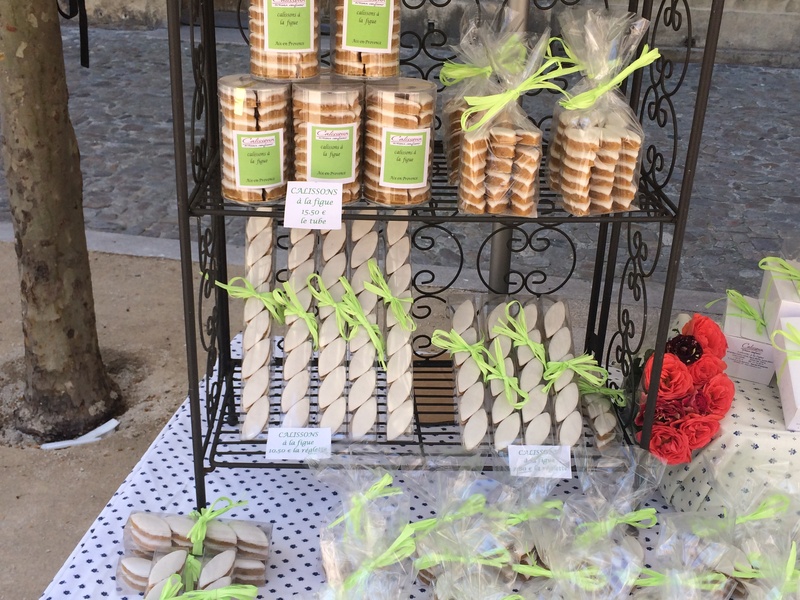 The culinary specialty of Provence is the Callison, a small almond biscuit that is made in many flavours, but always almond shaped. They aren’t cheap, but they are delicious and there are two famous stores to buy them at. Le Calisson du roi René and patisserie Béchard. Next stop is Montpellier by way of Marseille. If you have any must visit places, I’d love you to share them with me!